Life without Windows or OS X: Is the Oscar De La Hoya sparring gloves any good? 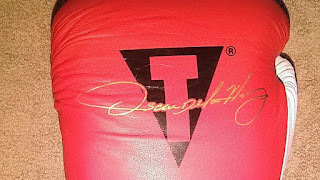 Is the Oscar De La Hoya sparring gloves any good? They say TITLE Boxing was started by former Ringside employees that created their own company by copying Ringside’s products. I don't know enough about TITLE to know if that is true or not. I have used Ringside gloves a few times but have never owned a pair myself. I got a hold of some officially licensed and authentic Oscar De La Hoya sparring 16 oz gloves made by Title. They aren't Grant Gloves or Winning Gloves but they can run a 1/3 of the cost. They are made in China. These Oscar De La Hoya professional lace sparring gloves are 100% full grain leather. 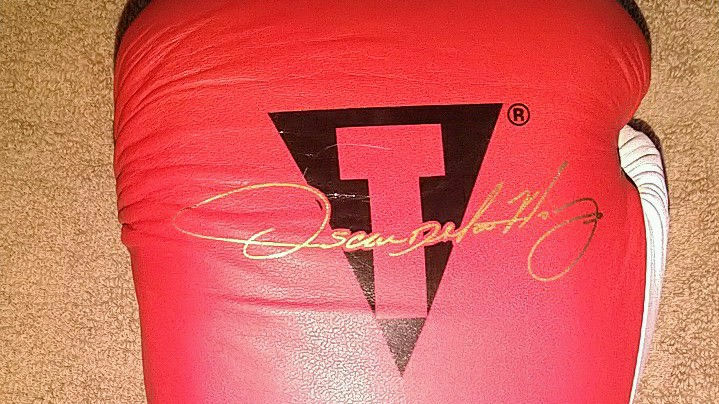 They also sport a very plainly visible TITLE logo along with a De La Hoya signature at the top of the palm. The stitching on these gloves is good and I didn't many strings out of line. The stitching does not fray even after using the gloves for long workouts. The leather is also nice and smooth to the touch. 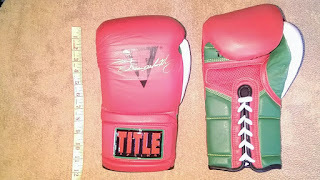 Not the best looking gloves in the world, but the red/white/green color scheme wont effect how they fit. The Oscar De La Hoya professional lace sparring gloves comes in at 12 oz 14 oz and 16 oz. Since I intend to using them mostly for sparring I got the 16 oz. version. The hand compartment is lined with a satin-nylon moisture-wicking material that helps to keep your hands dry. The palms are vented to allow hot air to escape. They are Lace up gloves so they are secured with a single lace crossing both side.They don't have the anatomical foam construction of Everlast Powerlocks or the tight fit on smaller wrist and fore arms as the Rival RS1-pro gloves. In my option they don't seem likely to fall apart under normal circumstances. However I have not had them long enough to make a fair determination. 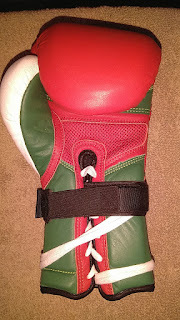 I have used them for many hours on a double end bag, heavy bag and focus mitts. The stitching did not fray even after after hours of pounding. The multi-layered foam padding protected my hands. It has much better force dispersal than gloves with more basic foam padding. The cuffs also offers the best protection when blocking punches. The glove takes the blow, not you. 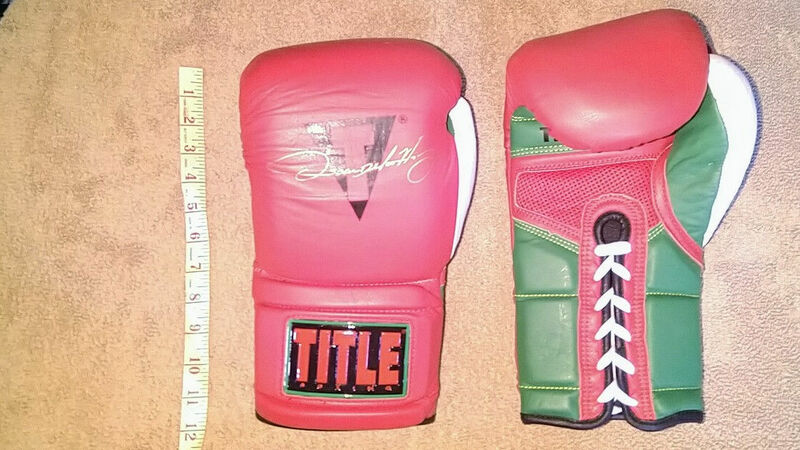 The De La Hoya TITLE sparring gloves set me back about 40.00. When working out alone I used Society Nine Lace and Loops. They are great as I mentioned in another "post". 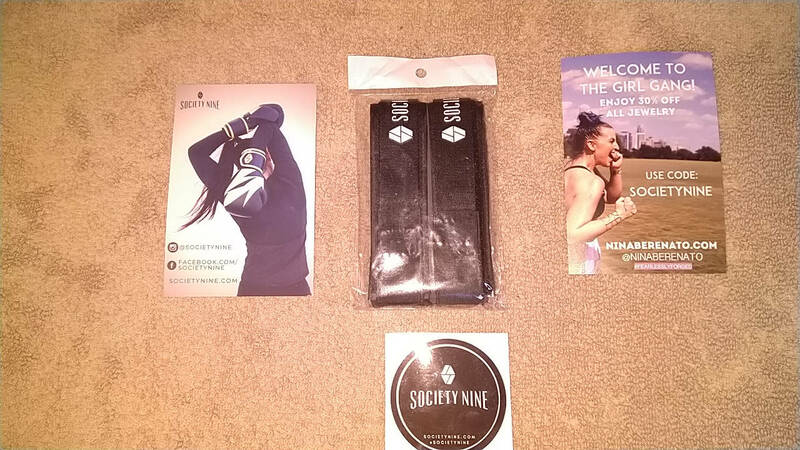 They do a really good job securing the lace-up gloves without you having to get someone to tie it for you. The Oscar De La Hoya professional lace sparring gloves wont win any beauty contest but the smooth surface minimizes things like scratches and other surface damage. They are 100% full grain leather for those who care. The stitching on these gloves is great but not immaculate like Grant Gloves or Winning. These sparring gloves have extra-long traditional ribbed-cuffs that provides great protection when blocking punches. However if you have narrow forearms the cuffs wont give you a tight fit. Out of the box the these gloves do not have soft foam padding. However its multi-layered foam padding dose deliver good hand protection. They will NOT fall apart after 2 or 3 workouts. There are lot of boxing gloves brands and hundreds of design which make it difficult for people to choose from. 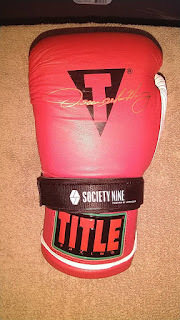 The glove brands that have worked best for my hands have been Everlast and Rival. Keep in mind compartment/hand cage sizes do differ across brands. Don't fool by cool looking design instead look for quality. Get the right pair of gloves from the start or you might find yourself spending hundreds of dollars on avoidable injury. So how do we find the perfect pair of boxing gloves for our fist? That’s simple: trial and error.